There is a beautiful, rewarding and robust life filled with movement awaiting you once you recover from your injury – and we want you to enjoy every moment of it. 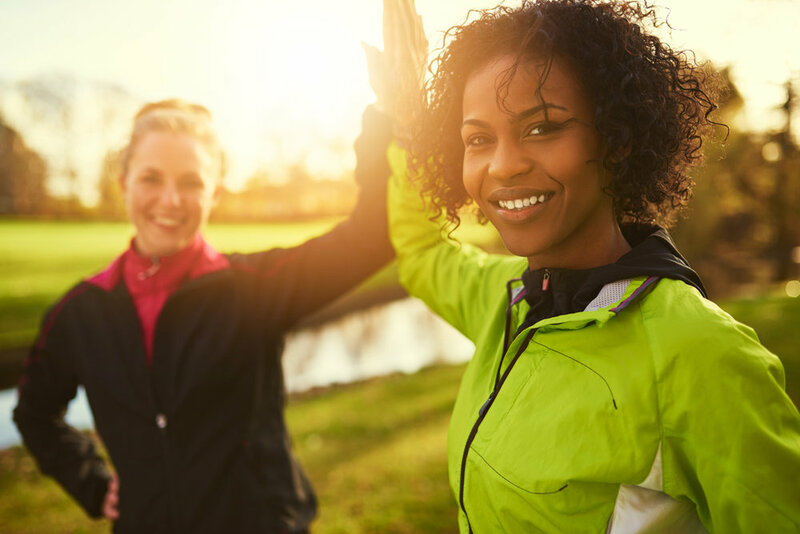 Whether you just want to increase your overall cardio, strength and flexibility, or have a specific goal in mind like completing a triathlon, Hawkstone Physical Therapy’s professional and experienced personal trainers can help you get there. Your Hawkstone personal trainer will show you how each movement should be performed and coach you through every technique to make sure you’re getting most out of every step and every rep’. Your trainer will also continue to assess your progress and make adjustments to your program from session to session to make sure you continue to build on your strengths and remain engaged in your training. Every session ends with five minutes of stretching and exercise assignments you can take home, or to the gym to help you reach your goals sooner. Before we can determine how you can reach your fitness goals, we need to first understand where you’re at now. During your first session, your Hawkstone personal trainer will perform a comprehensive assessment that includes recording anthropomorphic measurements (your height, weight, waist-to-hip ratio, BMI). They’ll also test your cardio, strength, muscle range strength and range of motion. The session will end with your Hawkstone personal trainer reviewing your results and offering recommendations for a training program designed just for you. Please call 780-930-1331 for available times, or more information.